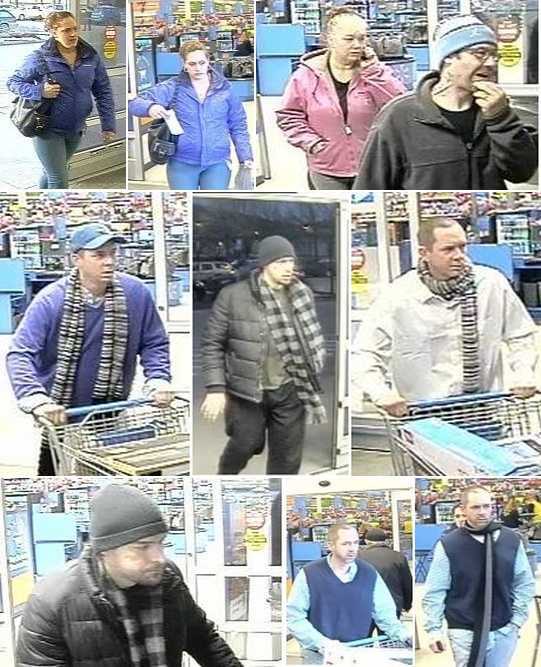 On Friday, the Lebanon Police Department responded to Wal-Mart for a report of past thefts. The officers met with Loss Prevention who told them five suspects had been involved with four different thefts occurring between February 2, 2017 and February 8, 2017. During these incidents, the suspects stole various electronic devices to include: televisions, DVD player, a dash camera and a tablet. The suspects also stole numerous other items to include clothing and dishes. The total value of the merchandise stolen is more than $4,000. One vehicle associated with the suspects is a dark color pickup truck. Attached to this release are photographs of the suspects and the vehicle. Anyone with information is asked to contact the Lebanon Police Department at 603-448-1212.